Hoist Parts Pro.com -- Your One-Stop Source for Replacement Hoist Parts! OTHER MANUFACTURERS' PARTS ARE AVAILABLE! CLICK HERE TO EMAIL OR CALL 1-844-99HOIST FOR MORE DETAILS. 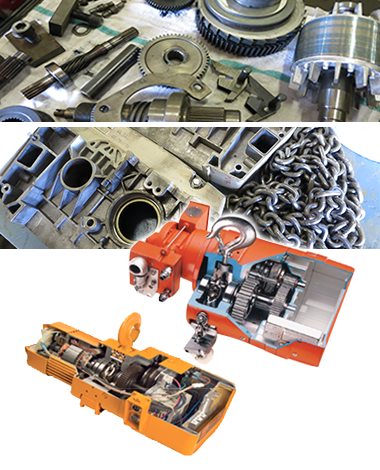 Our access to numerous after-market manufacturers of wire rope, bearings, seals, motors and brakes, along with more than 150 years of combined parts sales experience, allows us to meet your delivery requirements. Most in-stock items ship within 24 hours.